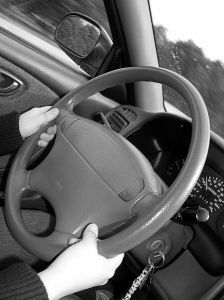 Teens have some seriously high risks for car accidents in Taunton and elsewhere. Their risks can get a whole lot higher when passengers are in the vehicle, according to a recent study from the AAA Foundation for Traffic Safety. The recent study, “Teen Driver Risk in Relation to Age and Number of Passengers,” looked at the driving habits of 16- and 17-year-old drivers and looked at their actions with passengers present in the vehicle. With each additional young passenger in the vehicle, the risks for accidents shot up! Our Taunton car accident attorneys understand that teens need some serious guidance through the first few years of their driving career. This is when these young drivers establish their lifelong driving habits. It’s our job to make sure that these lifelong habits are safe ones. According to the Insurance Institute for Highway Safety (IIHS), drivers in the state of Massachusetts with a restricted driver’s license are not allowed to have any passengers in the vehicle under the age of 18. This only applies to the first six months of this licensing stage. Strict graduated driver’s licensing programs have been proven to help to significantly cut down on the risks for car accidents among teen drivers. Our state doesn’t have the strictest GDL program when it comes to passenger restrictions. That’s where we ask parents to step in. Parents are urged to step up, create and enact driving restrictions within their household. Make sure you keep an eye on how many passengers they’re driving with, how late they’re driving and how well they’re following road laws. Parental involvement may be one of the best ways to help shape up the driving habits of our teens! According to the recent study, teen drivers’ risks for car accidents increase by more than 40 percent when there’s one passenger present in the vehicle who is under the age of 21. These risks double with two young passengers and quadruple when there are three or more young passengers in the vehicle. When there are passengers present and they’re 35-years-old or older, the risks for accidents among these teen drivers fall more than 60 percent. This is a perfect example as to why riding along with your teen driver is so important! Riding with them can help to mold their safe driving habits at an early age and can help them to develop lifelong safe habits behind the wheel. When you’re not able to be in the car with them, make sure that there are rules they know to follow, including passenger restrictions, nighttime driving restrictions and other useful rules to preserve safety. “We know that carrying young passengers is a huge risk, but it’s also a preventable one,” according to Peter Kissing with AAA. Parents are asked talk with their teen and consider enacting a parent-teen driving contract to lay down the rules of the road and the consequences of breaking them. As your teen heads into summer break they’ll be on our roadways more often and their risks for accidents will be higher. Help to reduce these risks and get involved with your teens driving. Boston Injury Attorney Jeffrey S. Glassman offers free and confidential appointments to discuss the rights and the cases of victims and the families of accident victims. Call 877-617-5333 today to set up your appointment.